ReWalk Robotics, Ltd. recently disclosed that Cigna Corporation, a leading global health service company, has revised its policy regarding coverage of exoskeleton medical devices for persons with spinal cord injury (SCI). Cigna, which previously had a non-coverage policy, will now review submissions from beneficiaries on a case-by-case basis to consider providing coverage based on medical criteria. This policy revision is the first of its kind by a major private insurer for individuals eligible to use exoskeleton devices. While the policy change has already taken effect, the formal policy change will be updated in Cigna’s next revision cycle, expected to be published in or around Q3 2019. “ReWalk has prioritized interacting directly with payors and educating them regarding the benefits of exoskeletons use, and Cigna’s decision comes after providing them the most recent evidence. We anticipate that other payors will follow Cigna’s leadership in providing the latest and most current technologies for their members,” Jasinski added. 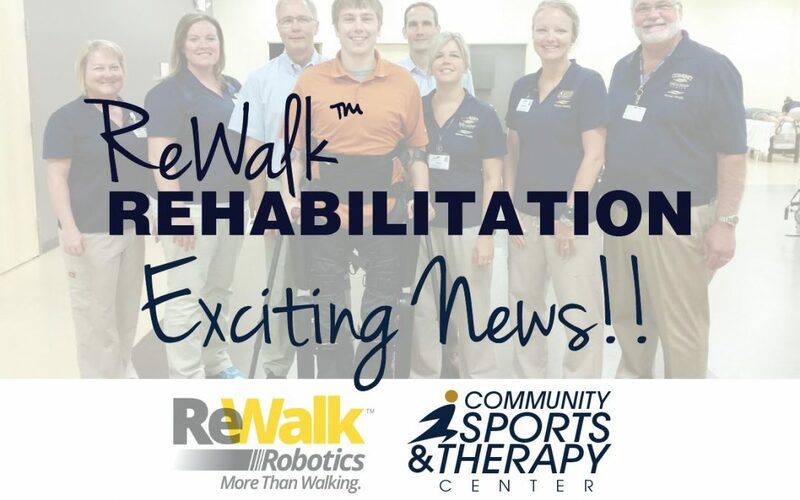 Community Sports and Therapy Center (CSTC) along with Mercer Health is proud to be one of just three Training Centers for ReWalk Robotics in the state of Ohio. The ability to have access to such innovative technology close by, along with the improving process for insurance coverage is exciting news for local participants. “We have seen so many benefits from our patients that have been able to utilize the ReWalk system including improvement in trunk control and balance, improvement in upper extremity strength, decrease in spasticity, and improvement in patient’s bowel programs. The ReWalk system also allows for weight bearing through lower extremities for improvement in bone density” said Kelly Bailey, PT for CSTC. Kelly is an advanced trainer of the ReWalk Exoskeleton system with hands on experience using the device for retraining of patients with spinal cord injuries.